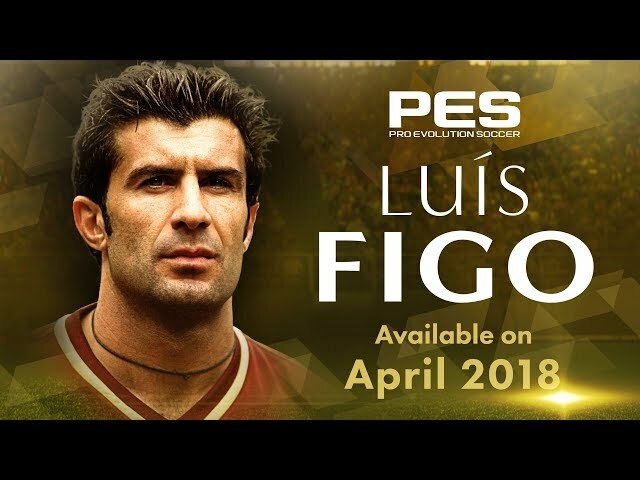 Portuguese Legend Luís Figo is coming to Pro Evolution Soccer 2018! The Leader of Portugal's "Golden Generation," Luís Figo, is all set to be faithfully recreated in PES. Blessed with the ability to gracefully manoeuvre past defenders, pick a pass from anywhere on the pitch and finish expertly when called upon, Figo was quite rightly known as the one the best players of his generation. Having played 127 matches for the Portuguese national team and being awarded World Player of the Year in 2001, Figo was a true superstar of the beautiful game during the 1990s and 2000s. Luís Figo in his prime form from the 1999-2000 season will appear in myClub for both the console and mobile versions of Pro Evolution Soccer 2018. Obtain this Legend to boost your team and create a dream squad with current players! Please check the in-game information for details about events and campaigns.